It must be sent to the list address, this is arlington@arlingtonlist.org, sending to any other address will not get your message to the list.Message sent to other addresses will not make it to the list. Some broken software seems to want to send replies to the wrong address. 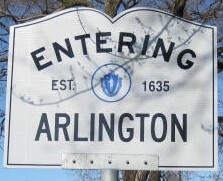 arlington-bounces, arlington-request, arlington-owner, or arlingtonlist are NOT proper email addresses for sending messages to the list. The message must be sent from an address that is subscribed to the list. The list software will automatically discard messages that do not come from subscribers. The email address that the mail comes from must be spelled exactly like the subscription address, the list does not know that the email is from you unless the email address matches, it doesn't know about other email addresses you may have, or alternate spellings allowed by your ISP. The list is a plain text list, if a message is sent with formatting or attachments, these are removed by the list software (this blocks viruses and keeps the digest readable). Some software (particularly web mail systems) do not include the expected plain version of formatted messages, which will cause the messages to be ignored quietly by the list. If you are a new poster (or have been put on moderation for violation of list rules) your message will be held for review. This will delay the message getting to the list, it will generally be forwarded to the list when reviewed if it is appropriate or a rejection message will be returned to you. If you have cleared the option "Receive on posts to the list" (or are on Gmail) you will not see your own messages. See Changing my list options for more information.